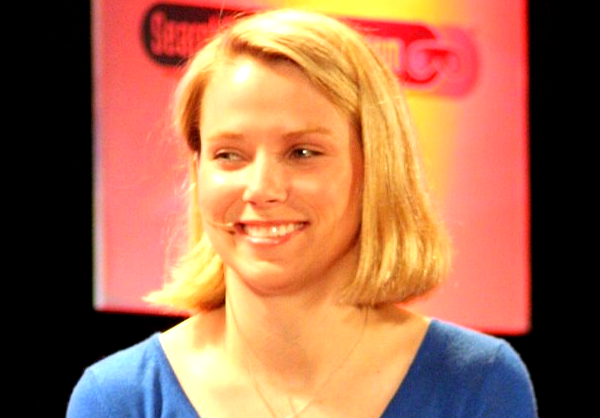 Yahoo is an Internet business company and not a venture capital entrepreneurial company. This is the most relevant answer on what should be done with the extraordinary cash it will receive with the IPO of AliBaba. This type of income is like a gift from gods for Yahoo. Therefore it cannot be involved in the business model. I.e. the most logic way of using the money is to return it to shareholders. Investing in startups is the function of business angels and venture capitalists. They are specialized in finding perspective ideas that cost nothing or almost nothing now, but can bring big value in future. Yahoo itself was such an idea what it was a startup. Google too. Apple too. Doing such a business requires much different skills than running an Internet business. The two business models have almost nothing in common. So the received cash is just like the cash received by selling oil or betting on football matches. The extraordinary cash (about $10 billion) that Yahoo will get from AliBaba is due to business decisions taken in 2005. It is just a lucky inheritance from the previous Yahoo management. As this management was replaced, due to not good enough running of the main business, therefore the profits of its venture investments have nothing to do with current Yahoo. Problems of Yahoo are not in the lack of money. There is enough money on capital markets, offered at very low interest. If Yahoo has good ideas than can lead to an increase in sales and profits finding money for investing is not a problem. The money from AliBaba IPO belongs morally to the venture capitalist part of Yahoo business. Some bonus can be given to the wise manager that saw in AliBaba good future. The rest must be returned to shareholders. If Yahoo is to become a venture capitalist company it must announce this and change its public profile. This will also change the behavior of investors that hold stakes at Yahoo itself. Easy money is easy to be spent. The easiest to be spent money is the ready, with no working, fallen from the sky, money. Yes, it is easy now to start acquisitions and new projects. It is easy to do this, and it is even preferable for the management. Said in short, it is a vicious procedure of finding job for the money instead of finding money for job that needs it. Yahoo can debate on its cash that comes from the main business model – like the cash of Apple, Google or Microsoft. Selling assets not connected with the business model means lowering the overall size of assets. And it is most logical that money to be returned to its owners – i.e. to shareholders.